There never seems to be enough hours in the day for everything I need to get done! 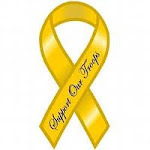 I am on a weeks holiday off work & feel like I need to go back to work for a rest lol. Jodie's cat Olly Purrs managed to slice his little leg open so I've been dashing back & forth to the vets with him & a tearful Jodie. Thankfully after an operation Olly Purrs is more concerned about his Buster collar he has to wear than his neatly stitched up leg so he is on the mend. goodies on our cards. 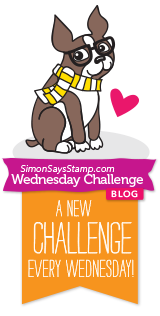 You don't have to use them to enter our challenge but we'd love to see them if you do. 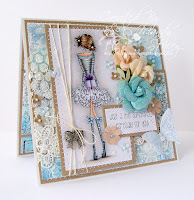 I have used many Prima goodies on my card today & I am kicking myself for forgetting to use my new Prima Paper Clay on this card but with making my card between vets trips & comforting Jode I totally forgot! I've discovered the fabulous new Prima Paintables paper pads and these are so lovely to use, & may well have converted me from being a non inky girl. I've used three different distress inks Stormy Sky, Broken China & Weathered Wood with a water brush to colour my Paintables papers, & of course have added some beautiful Prima flowers (all linked at the end of my post). 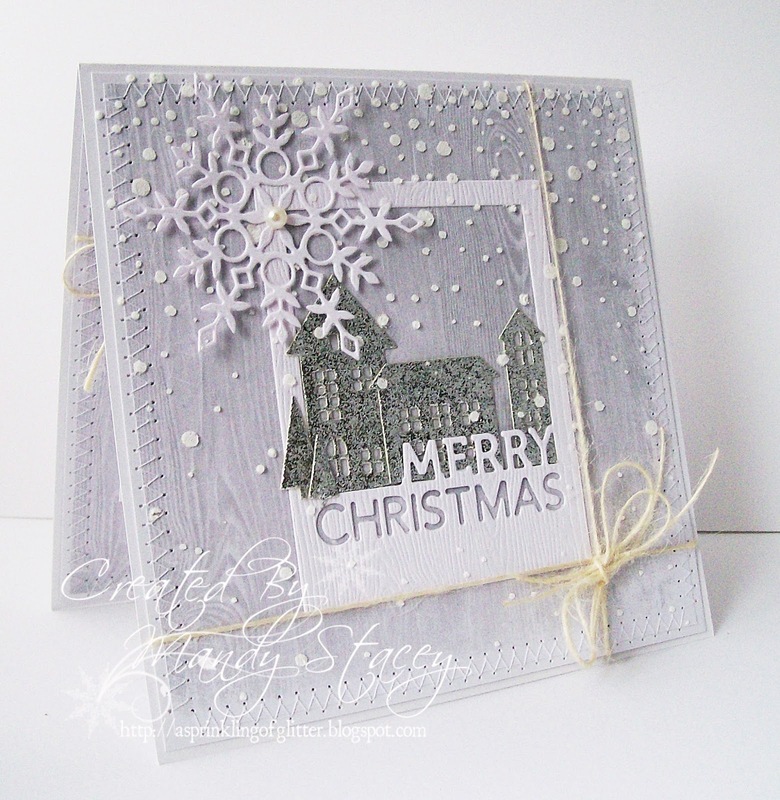 I have also used some Prima White Texture Sand with my honeycomb stencil to add some texture, along with some pretty Prima lace. The image I've used is Paisley Has A Prezzie by Stamping Bella & I'd added my favourite Simon Says Stamp butterfly dies, Leanna & Chrissy. Adorable card Mandy. Love the colour combo. 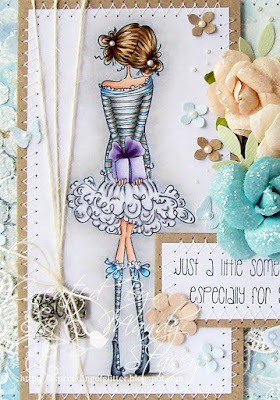 The details and colors are absolutely gorgeous, Mandy! Beautifully done on this project! 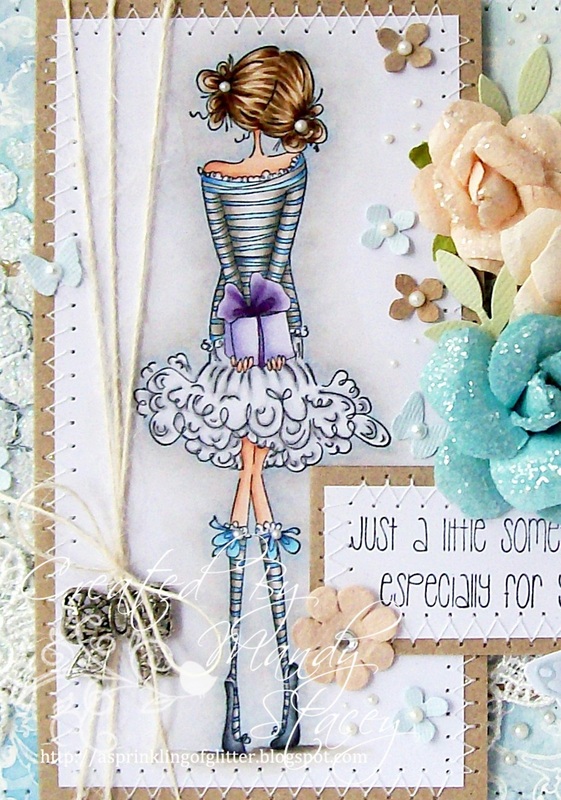 Gorgeous colouring and fabulous embellishments - love it. 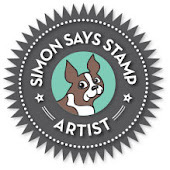 Thanks for joining in with us at Simon Says Stamp Wednesday Challenge. 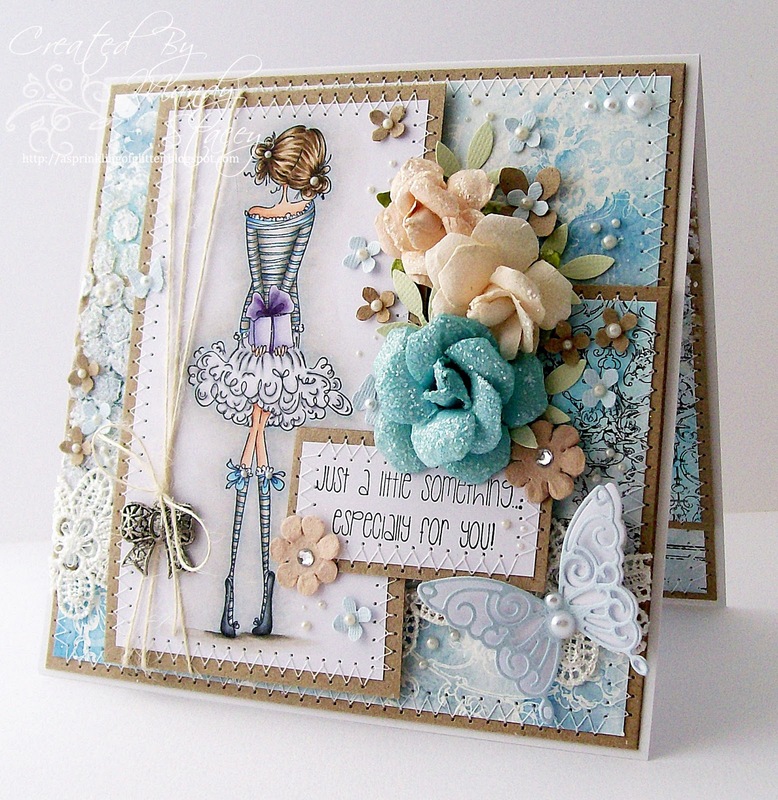 A beautiful card Mandy - I this is my favourite Stamping Bella, - gorgeous and full of beautiful embellishments!! 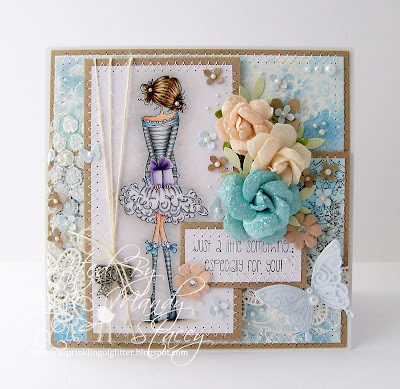 Stunning card Mandy! Lovely image, fabulous design and colours- I love it! Thanks for playing along with us at Creative Moments . My goodness, this is gorgeous! I love the beautiful images, and details on your card. Thank you for joining our 'Lace it Up' challenge at The Paper Shelter. We hope to see you again! 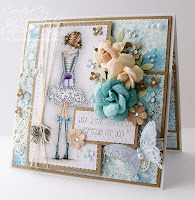 Gorgeous card, loving all the different elements! 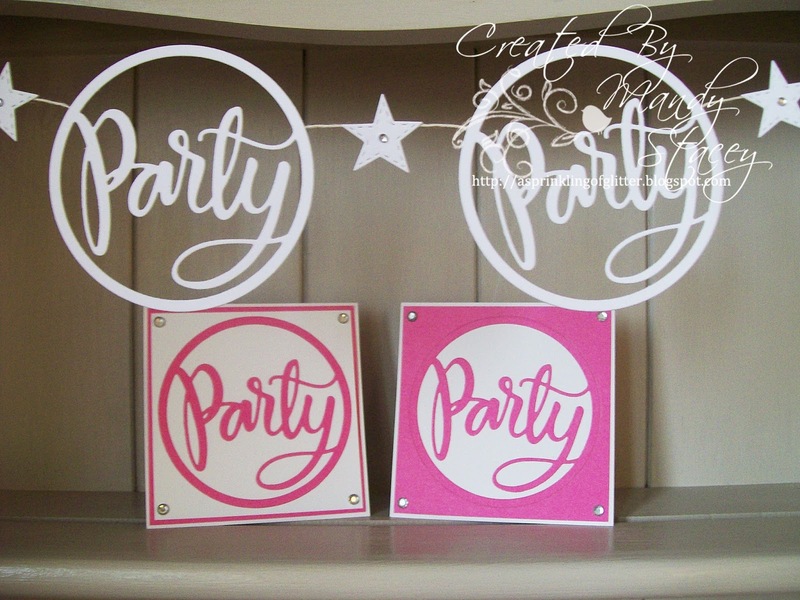 Thanks so much for sharing it with us over at the Crafty Addicts! !